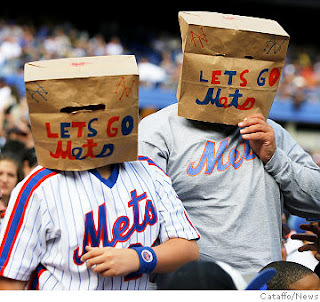 The 2011 season for the Mets begins tomorrow as they face the Florida Marlins down south. The opening at Citifield will be Friday April 8. Let's hope for the best. How can any graduate of Forest Hills High School not like Simon and Garfunkel? They were in the class of 1958 while yours truly graduated in 1967. Back then there was a math teacher named Jack Garfunkel who was not related to Artie. I always remembered that Mr. Garfunkel taught to the top notch students in the class. I recently bought a CD/DVD set celebrating the 40th Anniversary of the Bridge over Troubled Waters Album. They are actually a year late since it was released in 1970. A customer review in Amazon.com states "The DVD includes the duo's rare 1969 CBS television special, Songs of America, and a new documentary, The Harmony Game: The Making of Bridge Over Troubled Water. The special, aired only once on November 30, 1969, has been bootlegged many times, but never before officially reissued." Back in Summer 1967 I went to a Simon and Garfunkel concert at the Forest Hills Tennis Stadium with my friend Alan Nelson. The Doors were the opening act but they were practically booed off the stage since the audience were predominantly S&G fans. At the end of the concert we walked toward Continental Avenue when someone yelled out "People are here from the Haimie and Finkelstein Concert." Those were the days. March 28, 1988 was a Monday. Where have all these 23 years gone? I think I have treated Mr. Lee very well over the years taking him to ball games, concerts, movies and almost everywhere else he wants to go. His birth was announced on Bob Shannon's show on WCBS-FM a few days later. I mis hearing his name called on the Harry Harrison Birthday book which left many years ago. Some independent films just don't get the publicity they deserve. I checked the listings for the Kew Gardens Theater and found this description for The Music Never Stopped. "Tale of a father who struggles to bond with his estranged son Gabriel, after Gabriel suffers from a brain tumor that prevents him from forming new memories." In honor of Lee's birthday we took him to see the musical Billy Elliot. 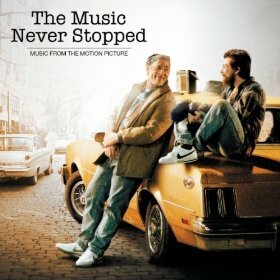 The music was written by Elton John, but it is in no way a musical based on his hits. The story takes place in the coal fields of Northern England in the mid 1980s. There was a story line where the 11 year old Billy gave up boxing to become a ballet dancer. If you enjoy ballet, this musical is a must see. More information. From there we went to a nearby TGIFridays for dinner. Those streets in the Theater District are always jammed no matter what time of the year you are there. How can anyone want to drive a car in that area? 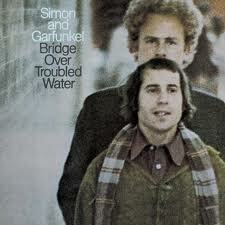 Paul Simon and Art Garfunkel who are Queens natives did an excellent job writing and performing the 59th Street Bridge Song. I will always call it the 59th Street Bridge, not the Queensboro Bridge nor the Ed Koch Bridge. The former mayor deserves to be honored by having a major building named for him. I agree with Councilman Peter Vallone who suggested that Gracie Mansion be renamed for Ed Koch. However, the City Council overwhelmingly voted to name it the Ed Koch - Queensboro Bridge. Mike Sanburn - radio friend. We traded tapes back in the 1990s. 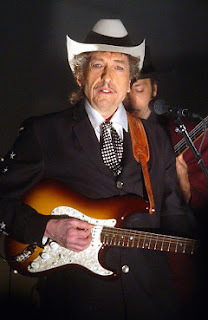 I found out from Facebook Friend and WFUV personality Corny O'Connell that the Fordham University Law School in Manhattan will hold a conference on April 4 and 5th with a "series of speakers who will present both scholarly reflections on the law in Dylan’s songs and reflections by lawyers and law professors describing how Dylan influenced their work." (please notice that I put that sentence in quotation marks since I copied and pasted it from the web site. I don't want some lawyer accusing me of plagiarism. The beauty of Dylan is that one can interpret him anyway you want with any emphasis. You can analyze the song as a whole or just take part out of context. In the day or so since I first saw the announcement I have thought of which Dylan songs have "legal implications." I am not including the civil rights based songs. Do People Still Use Land Line Phones? 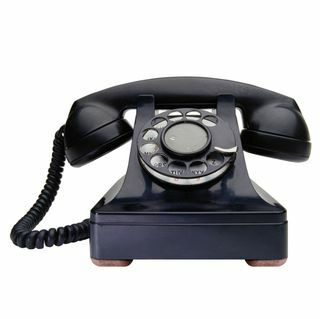 Does anyone remember the rotary dial telephone seen above? I guess I am dating myself by saying that I once used one of these phones when I was growing up. Don't Call Me I won't Call You is an article in todays New York Times Styles section which stimulated me to write this journal entry. Phone calls by their nature are disruptive. You must drop what you are doing and run to the phone. In this Internet era people would rather send e-mail, text, instant message, tweet or use Facebook to communicate with each other. In the early days (1990s) of cell phones people used them only to have conversations in unusual places. I remember phones going off in movie theaters and the recipient running out the theater to get the call while missing the movie. In this era of smartphones people use their devices for text messaging. This afternoon at the movies, the man in front of me was text messaging during most of the movie. What is the sense of going to the movies. I read somewhere that 30% of all phone customers no longer use their land line phone. I only use mine to receive calls or to make local calls within New York City. 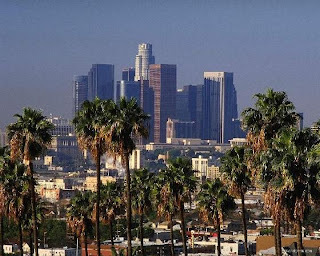 The cell phone call is timed and makes no difference whether the call is locla or long distance. The landline phone will not disappear, but will be used less in the future. Tsuris is another one of those Yiddish words that can not be directly translated into English. The closest definition is trouble or aggravation. A news report states "The trustee looking to recover funds from victims of Bernard Madoff's Ponzi scheme officially wants more than $1 billion from New York Mets owners." You can read more about this here. At this point in time I feel the only solution is for the Wilpons to sell their entire interest in the team. Back in the late 1970s the Payson-DeRoulet family was not interested in running a team in a new economic environment and sold the Mets to the Doubleday-Wilpon group. Some years later Doubleday sold his interest in the team to the Wilpons. In recent years they have just thrown too much good money on players who did not work out. Today they released Luis Castillo and ar liable for the $6 million remaining on his contract. From what I have read that scoundrel Bernard Madoff (who should rot in jail) was very close to the Wilpons. Although it has not yet been proven, it does seem likely that the Wilpons did profit from his Ponzi scheme. Since I have been a loyal Mets fan since 1962, I am staying with the team. It is in the best interest for the integrity of the sport for the Wilpons to come to a settlement with people who lost money to Madoff and then sell the Mets. When I think of the Vietnam War I think back to the turbulent 1960s when we as students tried to do anything to get out of the draft. I also remember the hypocrisy of two American presidents. It certainly was a very bleak chapter in American History. 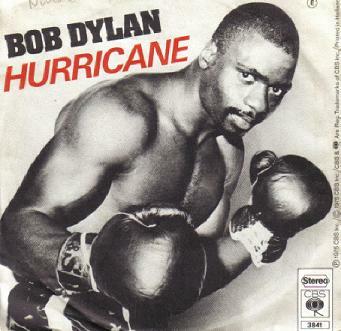 When Dylan started his career he sang many protest songs like Blowin' in the Wind, A Hard Rain is Gonna Fall and Masters of War. I assume that the attendees in Hanoi will be young not having experienced that miserable war. 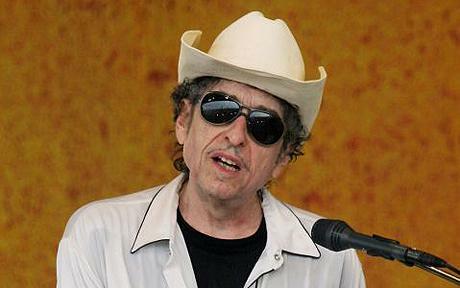 I hope Bob will his songs that are non-political in nature. Was this a First For Jeopardy Tonight? 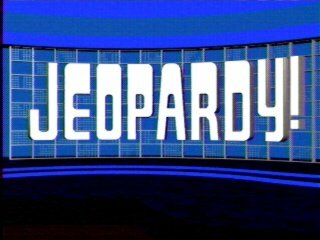 At the end of Double Jeopardy Rebecca and Peter were in the negative situation and could not play in Final Jeopardy. I can not remember this happening in all the years that I've watched the show. Perhaps Alex will say something tomorrow since he would likely have to consult with his research staff. I checked the Jeopardy fan page on Facebook and like to thank Jeopardy enthuisast Daniel Zibreski for knowing that this situation occurred on February 23, 2005 during the ultimate Tournament of Champions. This was documented on http://www.j-archive.com/. Daniel also states that it happened in March 1985. 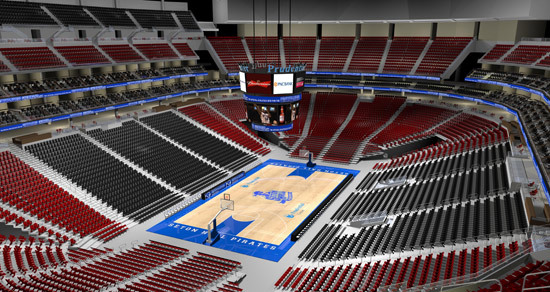 The Prudential Center in Newark seen above will be bustling next week as the NCAA Eastern Regionals are played there. I have worked at NJIT in Newark for 18 1/2 years and have seen much revitalization in the city. There is the NJPAC, Rutgers, NJIT, the Ironbound and other attractions that hopefully give Newark a good look when it gets the attention during the basketball tournament. Newark unfortunately bears the stigma of the riots of 1967 and crime is still a problem. Such crimes exist in cities all over and are not limited to Newark. 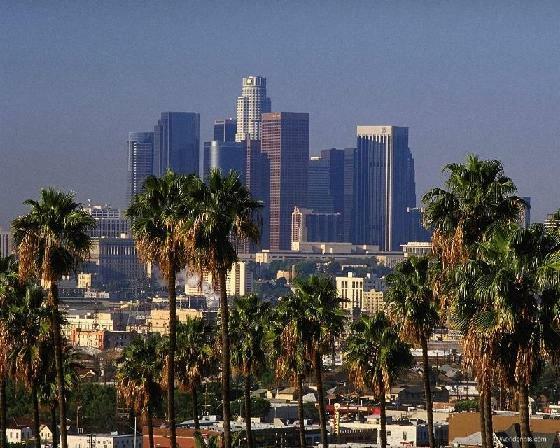 I just hope some sports commentator doesn't make a crass remark like "you can't walk two blocks away from the arena." There are some very nice restaurants in the Ironbound. 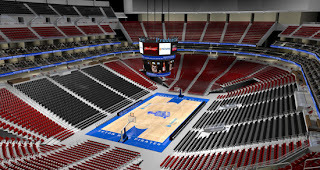 I am hoping that the city of Newark becomes a big winner in the NCAA tournament. If this journal entry is dedicated to Frank D'Agostino then why is Ron Lundy in the photo? Frank just sent me a nice e-mail reminding me that tomorrow (March 15) will be the first anniversary of Ron's passing. Ron had to be the nicest man to be on New York City airwaves from 1965-1997. Please see my journal entry for March 15, 2010. He is certainly sorely missed by his many listeners and friends. I am respecting Frank's wishes by not posting his photo. He deleted his Facebook profile as many other have. Some people are private and don't want everyone to know what they are doing. I certainly understand that. By the way Frank, Alan has penciled in Saturday November 12th for the next oldies meet and greet. He will not let you hear the end of it. In our last basketball game of the season the Knicks were lackluster on offense and defense as they lost to the Indiana Pacers at the Garden 106 - 93. Chauncy Billups returned to the line-up after missing 6 games to injury, but it didn't help. I think the Knicks will likely make the playoffs, but lose in in the first round. It is always a disappointment when I access 60s on 6 on SiriusXM Radio on a Saturday night and discover that Cousin Brucie is on "special assignment." He may be working on a special project or simply be on vacation. In any event he deserves time off from the microphone. He is 73 years old and besides his repsonsibilities in radio, he spends a lot of time fundraising for Variety The Children's Charity and other worthy causes. I hope he is enjoying his time away from SiriusXM no matter what he is doing. I still enjoy the music mix on the 60s channel. 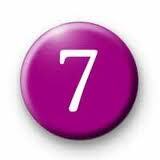 The #7 train gave me aggravation today. It did not run from Queensborough Plaza to Times Square. Thus, I had to get off at 74th Street and take the E to Penn Station to pick up my New Jersey Transit train. It is bad enough when they do it on weekends, but on a weekday the crowds at the transfer points are horrendous. I can blame the rain for this. 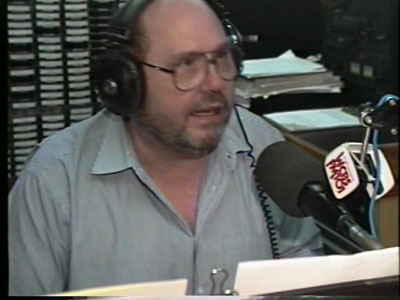 New York radio personality Danny Stiles passed away at age 87. He was certainly a rarity in this era of radio programmers looking for a younger audience. He played music from the 1920s to the 1950s. He was on the air on WNYC and other AM radio stations. Check out his web site. Out of a sense of loyalty I bought 4 more tickets to Met games in addition to the 6 games that I bought in a package a few weeks ago. If I survived the early 1960s, late 1970s and early 1990s, I guess I can put up with the problems caused by the Wilpons and the Maddoff. Bridge Over Troubled Water: 40th Anniversary Edition that I bought from Amazon.com arrived today. It includes the CD and a DVD that has a 1969 CBS TV Special that aired only once, and a "behind the scenes" documentary on the making of the album. Now I have to find the time to listen. Chicago media columnist Robert Feder reports that the Jack format is hitting road after 5 1/2 years. WJMK (104.3 FM) flipped to Jack on the dreaded day of radio infamy (June 3, 2005) when WCBS-FM was hijacked. I don't have to repeat the entire story but WCBS-FM returned in a somewhat modified format on July 12, 2007. WJMK will have a classic hits format with the moniker K-Hits. Anyway, a radio station of any musical format must a have the right blend of personalities and music. In my opinion the best radio host knows the music he is playing. There are just too many too mention here. The Jack format was devoid of any personality except for the snarky voice of Howard Cogan making caustic comments. Why listen to an automated radio station that is voice tracked when you can listen to your iPod with no commercials. I believe there are still a few stations with the Jack format left. Back in October 1974 Kung Fu Fighting by Carl Douglas hit the charts. Back in those days a hit record was heard on WABC at least once every two hours. We associated this song with Dr. Liu, our boss. He had a doctorate in chemical engineering, but didn't use common sense.We referred to him as the Kung. Here goes. I should play every song that I mentioned in this journal over the last 5 1/2 years. I am listening to this silly song on the Lost 45s with Barry Scott on WODS-Boston. Barry said that it was written by Bob Crewe who wrote many hit of the Four Seasons. It was a hit in 1974 when I worked for Rhodia in New Brunswick, NJ. When I hear this song I think of some my co-workers all those years ago. I warned you that this is a silly song. Tomorrow is another day and hopefully I'll have a more intelligent journal entry. I am sure that Alan Berman will add all those that I missed since he viewed the show and ordered the DVD. Hy Lit was mentioned but was not interviewed. Many good points were made. I certainly miss many of the personalities who have passed or retired. The new generation of DJs is just not the same. The video did not elaborate the concept of narrowcasting that happened as music moved from AM to FM. The issue of demographics was not discussed. I am well aware that the suits and bean counters in the radio business are trying to appeal to the 25-54 demographic. Satellite radio was discussed very briefly while internet radio was not at all. I recommend this show to all my radio friends. 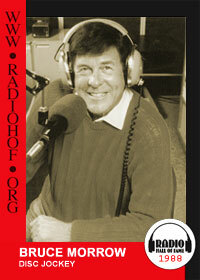 Hy Lit was a Philadelphia disk jockey who was on the air from the 1950s until 2005 on several radio stations. Sadly he passed away in 2007 His son Sam Lit produces an internet radio station call HyLitRadio. Terrestrial radio stations with the moniker "Greatest Hits" are overly concerned about demographics and generally play music from 1964-89. They don't even use the term "oldies" any longer. Hy Lit radio plays the hits from the 50s and 60s and even includes jingles from WIBG, WIFI, WABC and other heritage radio stations. I try to check it out a few times a week. We decided to see a preview of a new Broadway musical Baby It's You at the Broadhurst Theater. It tells the story about Florence Greenberg, a New Jersey housewife who discovered the Shirelles. It will feature many hits that we no longer hear on terrestrial radio stations. Previews begin on March 26 while opening night is April 27. Watch this space in a few weeks for my review. Bob Dylan will be celebrating his 70th birthday on May 24th. It was announced today that there will be a documentary on his life produced by Joel Gilbert who fronts the tribute band Highway 61 Revisited. Hopefully there will be more events this year to celebrate Bob's milestone birthday. As soon as I find out anything I will post it here. Stay tuned.